This position is primarily a mobile role, working from home but reporting to our London office, and working at different sites each day, the systems that we support are generally in large commercial buildings, offices, schools, hospitals, airports, shopping centres, sports stadiums etc.Our client's successful growth in the service provision has created the need for several new positions within the business and are currently seeking BEMS/BMS Engineers to join its busy service team in Basingstoke and the central London, greater London / surrounding areas. Are you a BEMS/BMS Service Engineer looking to work with a UK based, leading and independent Building Energy Management System company (BEMS) with a well-established history? The company are well recognised within the BEMS industry, specialising in energy efficiency with customers that have constant demands for improved control changes and condition based monitoring. They are financially strong and employ their own software integration development; energy; installation; and service support teams. 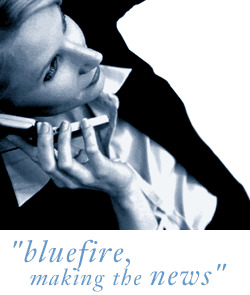 The service teams have numerous long-term high quality national contracts with blue chip clients. *An ability to work autonomously with a selection of our key clients, supporting sites and developing new growth within the business. This position offers excellent career opportunities to the successful applicants with great benefits and the chance to be part of a rapidly expanding business in an ever-growing market sector.